At this point, with so many franchises given the LEGO treatment, it’s hard to imagine one that wouldn’t work so well. Initially, I believed The Lord of the Rings was one of the exceptions, until I watched the first trailer and heard dialogue from the films. But on the other hand, I wasn’t overly thrilled that for the first time, we’d hear more than grunts and giggles from the little plastic characters. 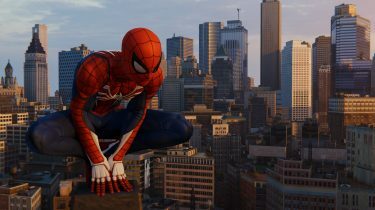 Now, having played it through to the end, I can confirm that it was definitely the way to go with this game, in order for the story to be properly told. 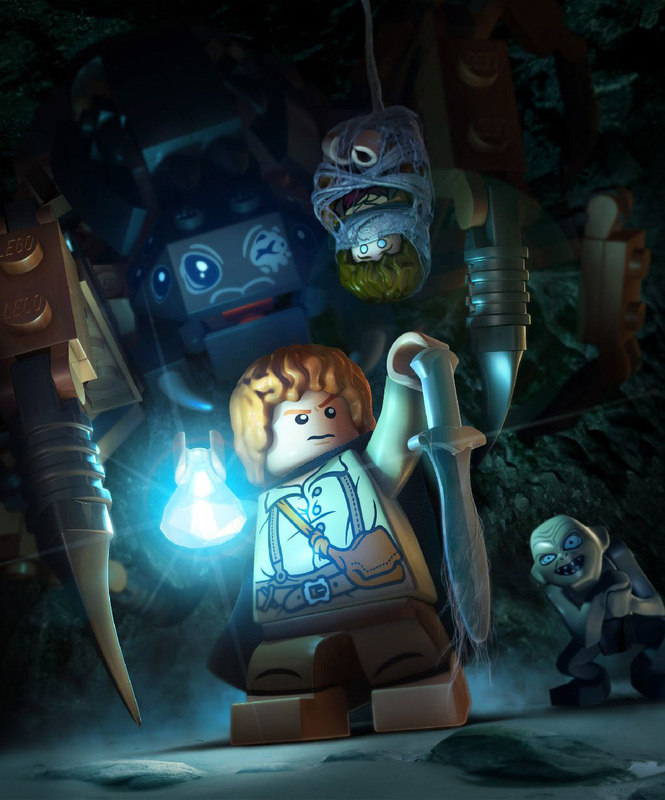 LEGO The Lord of the Rings is everything that I was expecting from a LEGO game, and much more. Dialogue from the films, open world exploration, fetch side-quests, and object forging, to name a few. The core game is right in line with the others that have come before. So if you’re familiar with the LEGO games, you’ll feel right at home. At least for the first 30 minutes or so. 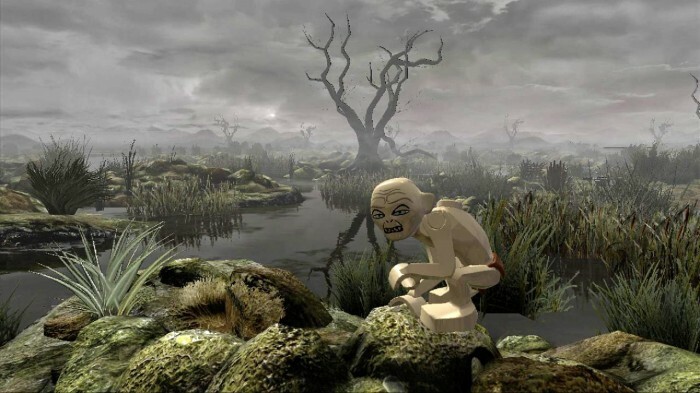 Once the prologue and the first level has been completed, you are dropped into Middle-earth, where you’re free to roam about, or head directly to the next story level. There’s a constant trail of faint blue studs that leads the way to the next level, or a custom waypoint if you change it manually. If you’re familiar with the films, you’ll no doubt get a kick out of this game. At least watching the cut-scenes will make you chuckle, as some of the more serious scenes are softened by childish humour. I was stoked to be able to introduce The Lord of the Rings to my 4 year-old daughter, and not have to worry about her having nightmares from visions of orcs and goblins.There was one point that she started to get a bit nervous, and that was in the mines or Moria, when the Balrog is approaching. His roar can be heard in the distance, and shadows created by his flames dance on the walls. But when he came crashing through the gate, he let out a monstrous belch, and my sweet little girl erupted with laughter. This was beautifully handled by TT Games. One of my favourite things about these LEGO games, is seeing what TT Games focuses on, and what they omit. I watched a couple of developer interviews, and one of the things they said they loved about the films, was the scene where Gimli gives Aragon permission to toss him during the battle of Helm’s Deep. As such, there are spots in the game where you have to pick up Gimli and toss him to break objects in order to solve puzzles, and proceed through levels. Sam is actually the most useful character out of the Fellowship, in that he can dig, plant, light fires, and has the elven rope. 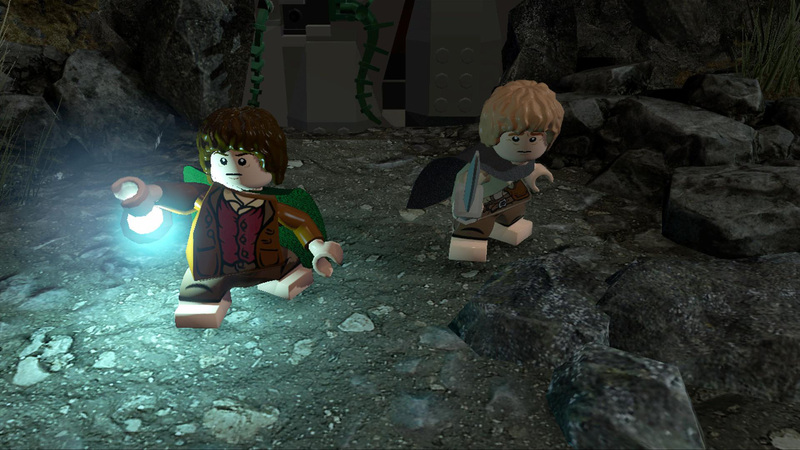 Frodo has the Phial of Galadriel, which can light up dark areas, and the elven cloak of invisibility. Merry and Gollum can fish, while Pippin can collect water to extinguish fires. Legolas, like Sam, is quite useful and I spent a great deal of time in his shoes. The elves can jump higher than other characters, are acrobatic, and of course Legolas is an archer. Aragon is pretty useless, until he’s wielding Andúril, as there are certain objects that can only be destroyed by it, and he’s able to defeat the undead. And lastly, there’s Gandalf, the grey and white. There really isn’t a whole lot of use for Gandalf, and puzzles that require magic to solve are few and far between. 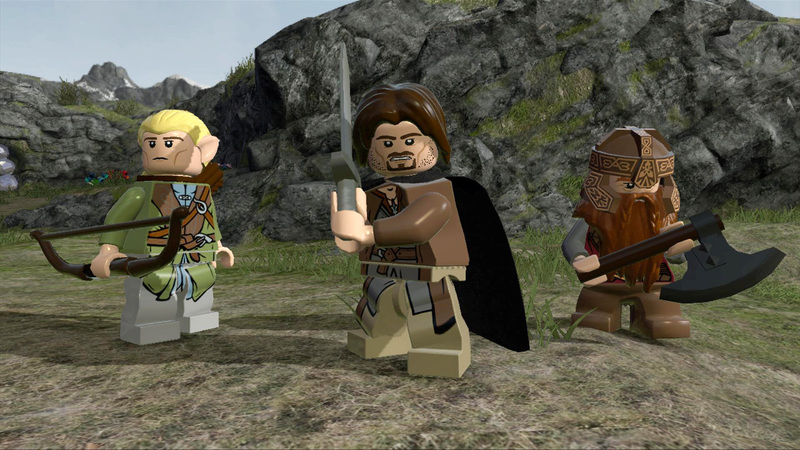 As with other LEGO games, The Lord of the Rings has its faults. And sadly, many of the same bugs and glitchy behaviour I’ve experienced in other titles are present here. Difficulty with platforming sections is increased by a stubborn camera, poor collision detection, and lack of shadows under characters while they’re jumping. Thankfully, the only real punishment you receive is a loss of studs when your character dies, and having to re-do whatever action you’re performing. Still, I found myself quite frustrated at least a few times. There are 250 mithril (metal found in Middle-earth) bricks scattered throughout the land, which often require intricate platforming puzzles to be completed before obtaining the brick. Citizens of Middle-earth, and even some of the baddies, will ask for your assistance in locating a specific item, or for you to have the blacksmith forge something. Items are forged from mithril bricks, and some items require upwards of 16 bricks. So if you’re in it for the 100% completion achievement, you’ll be tracking down all 250 of those bricks. But before you can forge an item, you need the blacksmith design. These are mostly found within the levels themselves, but also in the free roam area. Red bricks are still around, which grant you access to extras (cheats). Instead of having to find hidden red bricks in levels, we’re now tasked to complete a fetch quest, where the reward is a red brick. Of course, the red brick still has to be purchased once it’s been obtained, and they can cost upwards of 10,000,000 studs. In the end, the process of obtaining and purchasing a certain red brick can take quite a while, as you first have to locate or forge the item that’s required to obtain it. I hunted down the 2x, 4x, quest finder, mithril brick finder, and red brick finder bricks first, which made things quite a bit easier moving forward. 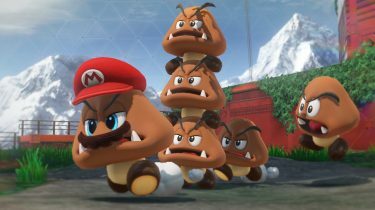 As with previous games, at the end of each level, new characters are unlocked and can be purchased for free play, and now free roam. Free roam of Middle-earth is only available once the campaign has been completed, so I didn’t bother buying any characters until I was done my first play-through. I believe the LEGO Pirates game was the first to require you to track down and defeat a character, before you can purchase them. I prefer the old method of going to a kiosk and flipping through all of the available characters, as it’s less time consuming. Also keeping in line with previous LEGO games, some characters have special abilities that are required for accessing certain areas, and completing puzzles. It likely took a solid 15 hours to get through all of the levels, mind you, I was mostly playing co-op with my daughter. 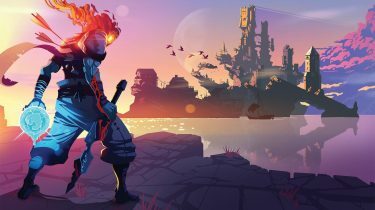 It’s probably more like a 10-12 first play-through, but as I’ve pointed out, there is plenty to keep you playing long after the campaign has been completed. Simply put, I adore the LEGO games. More so, when I’m familiar with the context. In this case, I’ve watched the films a few times over, and found myself reciting lines along with the characters on screen while playing this game. 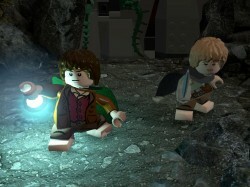 As a one-time play-through, LEGO The Lord of the Rings is a fun-filled and extremely enjoyable experience. And for those that like collecting objects and solving puzzles, there are hours upon hours of additional content to keep you busy. 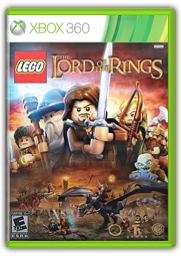 At a budget price point, it’s hard to deny LEGO The Lord of the Rings.